Strawberry Milk: a blog for fabulously fashioned fetes. : Happy Fall Friday! As the first official weekend of fall, we thought we'd send you off with some lovely inspiration for a cozy, rustic barn wedding. I love this favor idea: apple cider donut holes! I can see someone dishing them up hot and placing in cute brown parchment bags with a cup of warm apple cider for dunking :) Perfect as a late night snack or a little something to give to guests for the drive home. 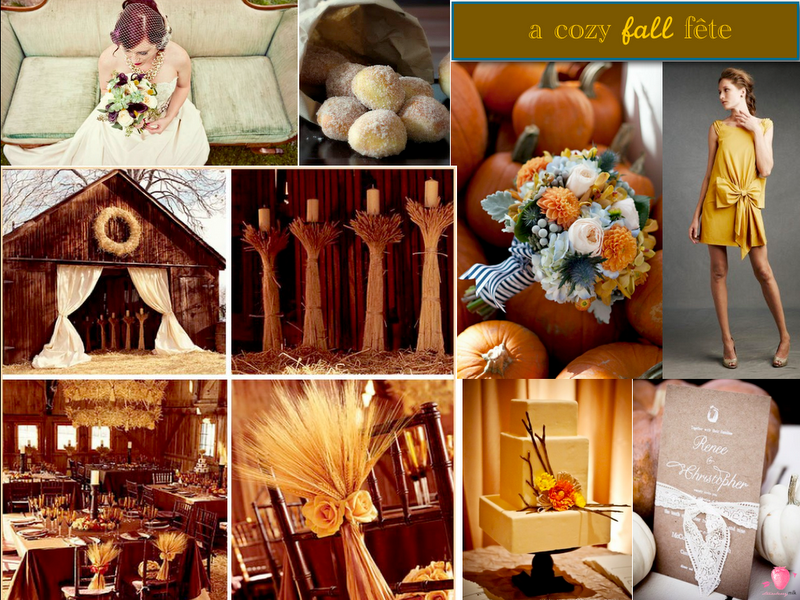 Color Palette: Marigold, teal, ivory and mocha.